Team Alpha Male: "We're taking over the sport"
Over the course of the last decade, very few teams can boast as much prolonged success as Team Alpha Male, the Sacramento fight camp founded by Urijah Faber that has produced a steady stream of elite prospects and perennial contenders dating back to the days of the WEC. While some of the fighters that helped establish the team as a powerhouse in the sport have moved on to the next phase of their careers, the future of Team Alpha Male has never been brighter. “Our room is the toughest room in the world,” said Danny Castillo, who transitioned into a coaching role following an eight-year career that saw him compete at lightweight 22 times in the WEC and UFC combined. “It’s a great chemistry because even if you don’t have a fight going, you have to be in there for your teammates so, in turn, everyone stays in shape year-round. It’s hard to argue with Castillo’s assessment. From the time he competed alongside Faber, Joseph Benavidez and Chad Mendes in the little blue cage of World Extreme Cagefighting to now, there has rarely been a time when Team Alpha Male didn’t have representatives stationed near the top of the lightweight, featherweight and bantamweight divisions. 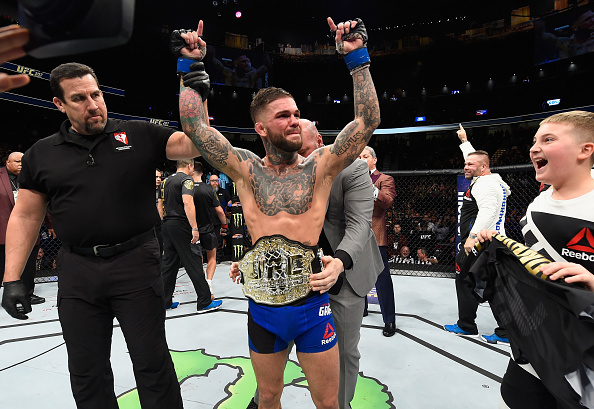 Two fighters from the gym – TJ Dillashaw and Cody Garbrandt – each broke through to claim UFC gold in the 135-pound ranks and will battle for that title in a highly anticipated championship grudge match at UFC 217 on November 4 at Madison Square Garden. “There’s no two ways of looking at this thing: this is one of the most important fights in the history of Team Alpha Male and we’re not shying away from it,” said Justin Buchholz, the raspy-voiced, most outspoken member of Alpha Male’s triumvirate of fighters-turned-coaches alongside Castillo and former Ultimate Fighter winner Chris Holdsworth. 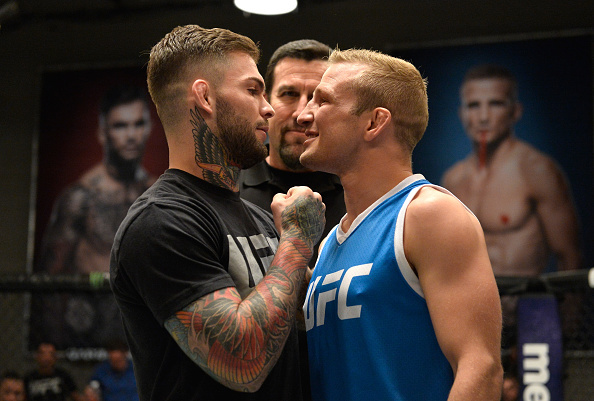 As much as the delayed championship showdown between the heated rivals that served as the backdrop for the most recent season of The Ultimate Fighter is the biggest fight on the schedule for the squad from California’s capital city, there are plenty of other members of the team who have been making waves in 2017 and have Buchholz, Castillo and fans of the sport excited to see what they can do down the home stretch and heading into 2018. Mayweather-McGregor is almost upon us. Pre-order the super fight now and get a FREE month of Fight Pass! Darren Elkins has blossomed into a bona fide contender since moving out West, rattling off five straight victories, including an incredible comeback victory over Mirsad Bektic at UFC 209 in March.In her first 12 months as a professional, Cynthia Calvillo has collected six consecutive victories, the last three coming inside the UFC Octagon over the last five months. 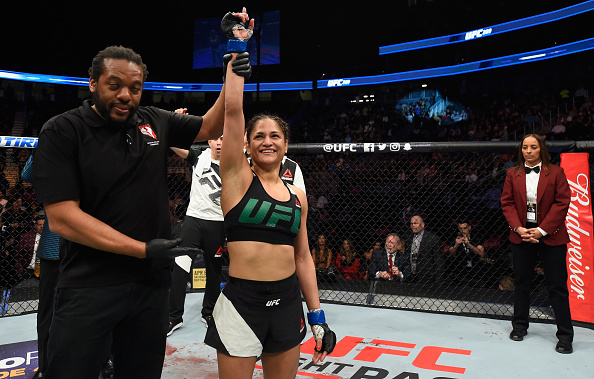 Already inside the Top 10 in the women’s strawweight division, the 29-year-old has drawn tremendous praise from UFC President Dana White, while Buchholz sees similarities between the unbeaten Calvillo and the reigning bantamweight champion Garbrandt. “She’s always been a killer in the room and when she got her opportunity, we knew she would do really well, like she’s been doing,” said Buchholz. “You’ve heard it plenty of times though – there are a million killers in the room that you’ll never hear of because it’s all about how you can put it together and Cynthia is one of those fighters who actually gets better when she fights. The lights come on and she’s even better and she’s already incredible in the room. 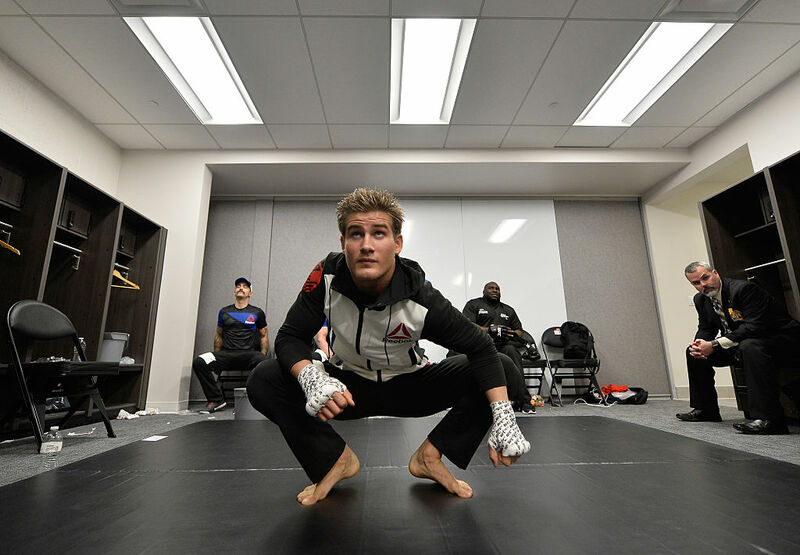 The team recently added two more familiar names to its ranks as well, with Sage Northcutt and Sara McMann both making the full-time move to Sacramento in hopes of taking their careers to the next level as part of Team Alpha Male. Having produced close to a dozen contenders over the years, Buchholz is confident that after getting familiar with the Alpha Male approach to things, the new arrivals could embark on the same kind of run Elkins has enjoyed since making the move to California. “When Darren Elkins came to Team Alpha Male, he was a journeyman fighter,” said Buchholz. “Him being in title contention was not something that was mentioned with Darren Elkins, (but) this guy is now in title contention. Castillo shares his long-time teammate and fellow coach’s faith in the system and excitement for the future, as there are more and more emerging talents on the come up that no one knows about yet, but who are capable of making an impact in the not-too-distant future. Plus, the team recently moved into a much larger facility, complete with everything you’d expect an elite gym to feature – including a cage. “We went from a 9,000 square-foot gym to a 20,000 square-foot gym and it’s got everything you can think of, including a cage,” said Castillo. “We finally got a cage, which is funny because we never had a cage before and now we finally have a cage. Jokes aside, the approach used at Team Alpha has proven successful over the long haul and there is no reason to believe that is going to change any time soon.